With Knicks forward Carmelo Anthony seemingly already enshrined as a New York City sports hero, it's possible that this new Jordan Melo M8 colorway is inspired by the city's famous yellow taxicabs. 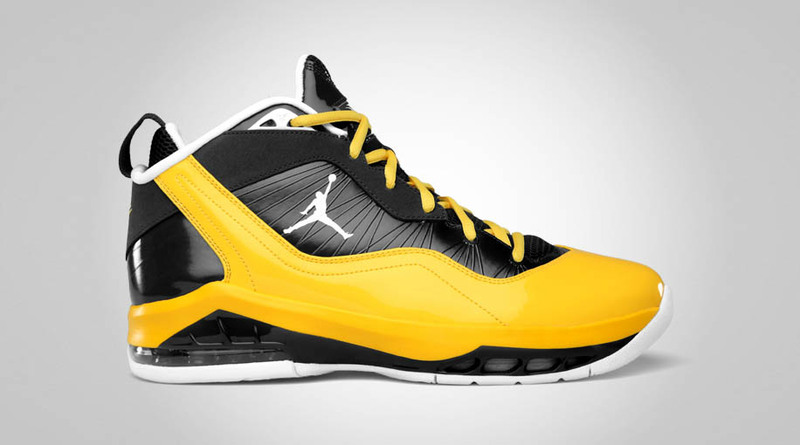 With Knicks forward Carmelo Anthony seemingly already enshrined as a New York City sports hero, it's possible that this new Jordan Melo M8 colorway is inspired by the city's famous yellow taxicabs. The shoe features a black Flywire-embedded synthetic base with nubuck running along the eyestay and heel. 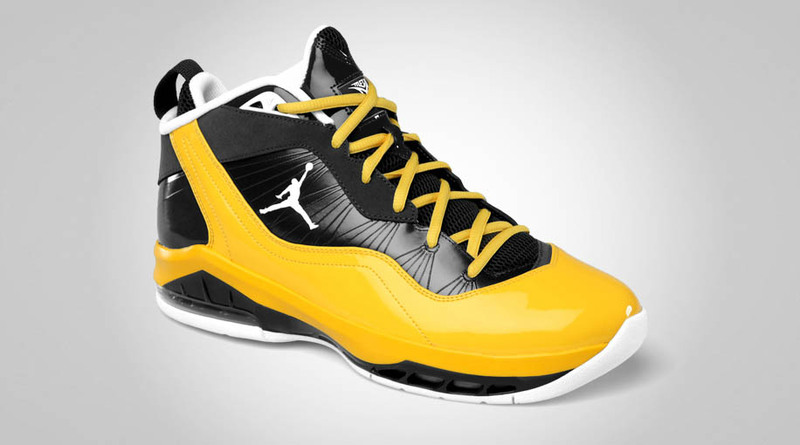 White handles Jumpman branding, the upper lace eyelets, tongue logo and inner lining, while varsity maize appears on the laces and a patent leather overlay on the upper. 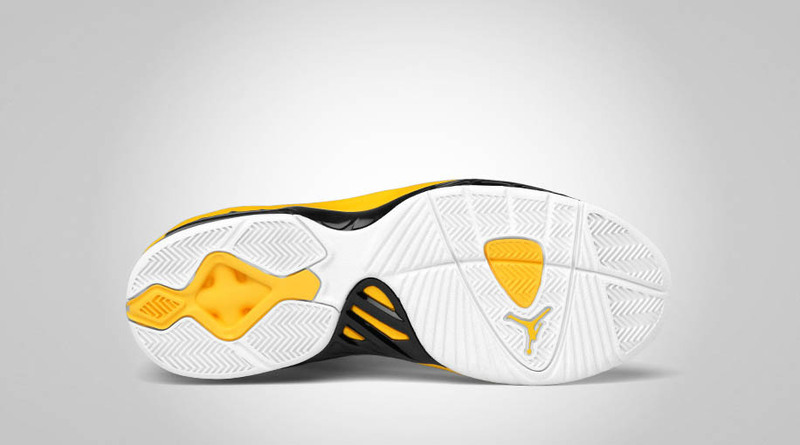 Black and maize share the midsole, while a predominantly white rubber outsole provides the finishing touch below. Priced at $135, this Melo M8 will hit Jordan retail accounts in December.